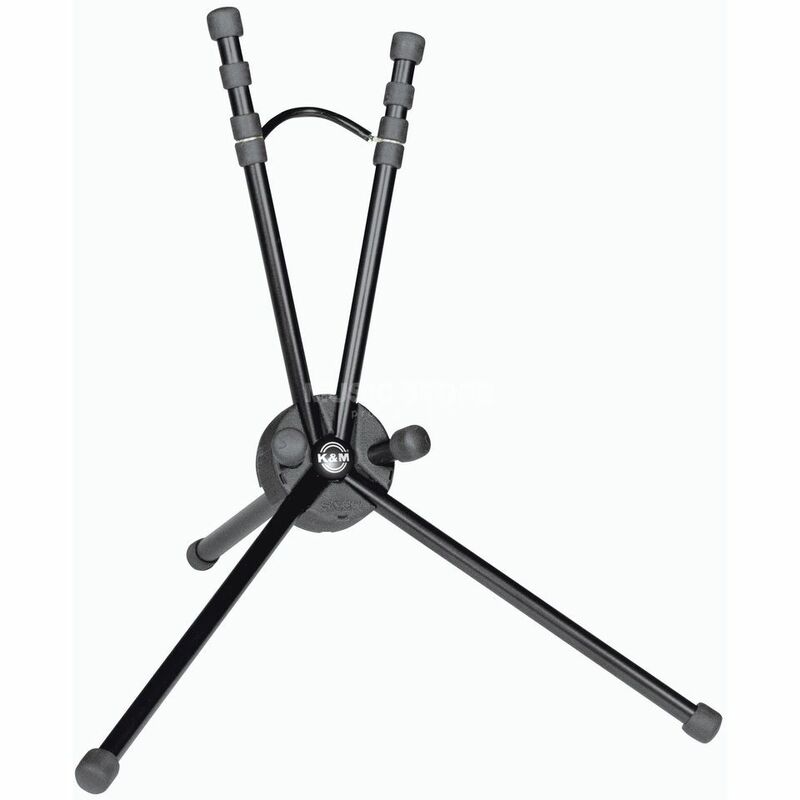 The K&M 14340 Saxophone Stand SAXXY is a black saxophone stand that is robust and handy. This ultra-small, extremely compact saxophone stand provides support for Eb alto saxophones. When folded up in the velour bag that comes with it, this stand can be stored and transported in the bell of the saxophone.